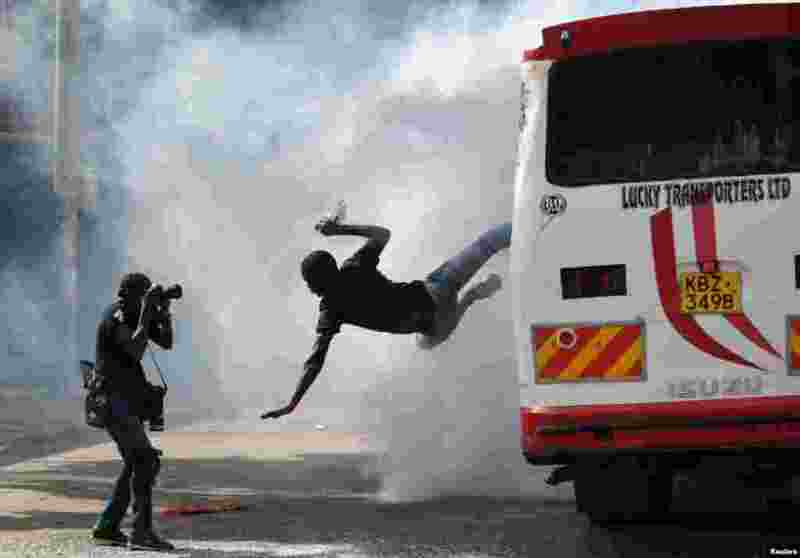 1 A supporter of Kenyan opposition leader Raila Odinga of the National Super Alliance (NASA) coalition jumps from a bus after riot police fired teargas canisters to disperse protesters after his swearing-in ceremony in Nairobi. 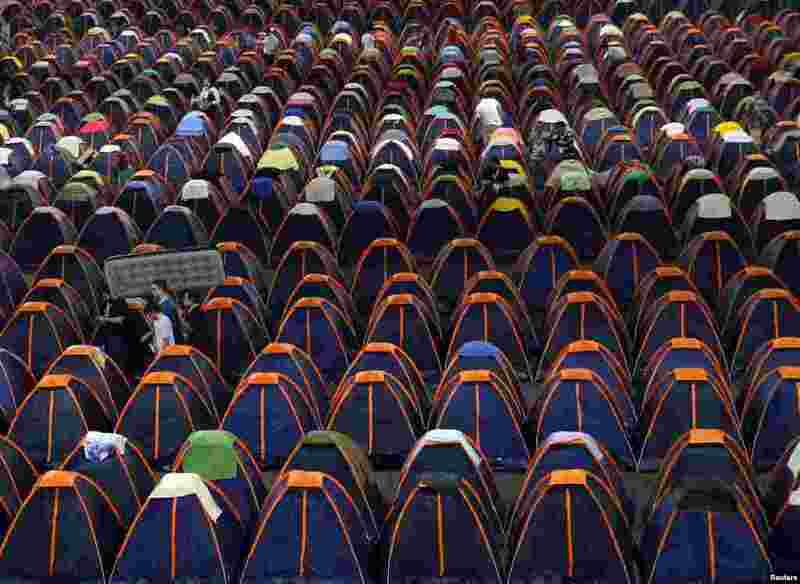 2 A man carries an inflatable mattress as he arrives at the camping area of the Campus Party event in Sao Paulo, Brazil. 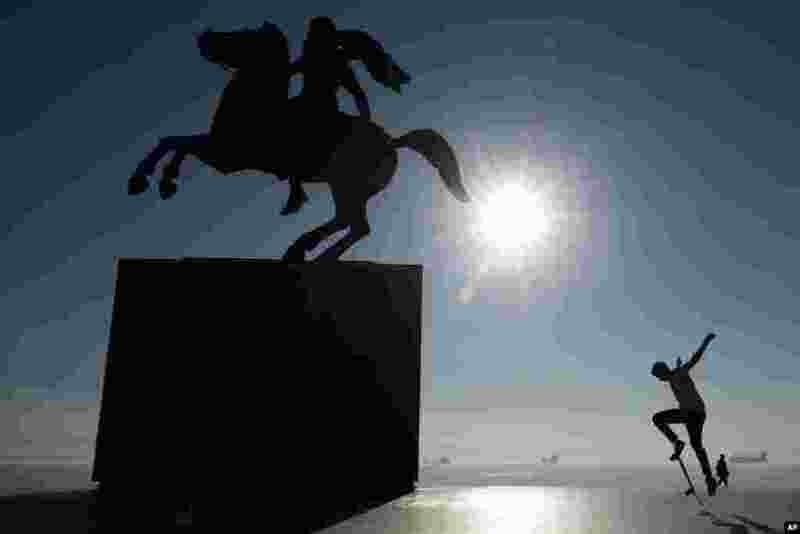 3 A skateboarder practices near the modern bronze statue of Alexander the Great on his famous horse Bucephalus in the northern port city of Thessaloniki , Greece. 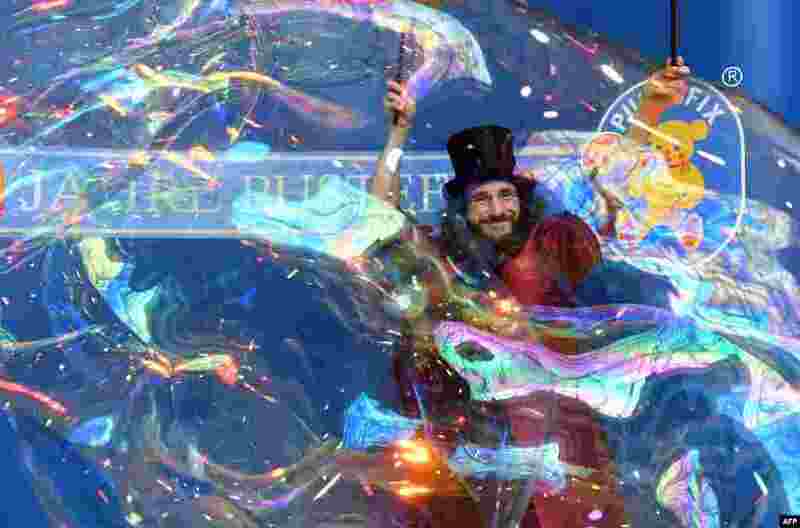 4 Soap bubble artist Aramis Gehberger demonstrates his skills during the press preview of the international toys fair Spielwarenmesse in Nuremberg, souhtern Germany. More than 2,900 exhibitors from 68 countries will show their newest products from Jan. 31 until Feb. 4, 2018.